‘Boardwalk Empire’ Begins 3rd Season Sept. 16 on HBO!!! Atlantic City, New Year’s Eve, 1922: The Roaring ‘20s are about to begin in earnest. Despite a booming economy, alcohol is scarce and gangster violence is heating up. With his marriage to Margaret already on the rocks, Nucky Thompson faces the challenge of mending old relationships and encounters new competition from a hair-trigger gangster determined to siphon off his business. From Terence Winter, Emmy® Award-winning writer of “The Sopranos” and Academy Award®-winning director Martin Scorsese, BOARDWALK EMPIRE is set in the 1920s during Prohibition, and chronicles the life and times of Enoch“Nucky” Thompson, the undisputed leader of Atlantic City. The Emmy®- and Golden Globe-winning drama series kicks off its 12-episode third season SUNDAY, SEPT. 16 (9:00-10:00 p.m. ET/PT), exclusively on HBO, followed by other episodes on subsequent Sundays at the same time. 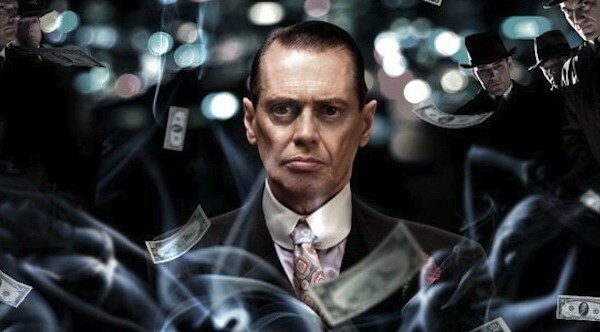 In season two, Nucky married Margaret Schroeder to prevent her from testifying in court and took revenge on Jimmy Darmody for his role in a plot against him. But his hopes for smooth sailing were derailed when she signed away his highway windfall to the church. Meanwhile, agent Van Alden fled to Illinois to escape the feds with baby and nanny in tow. BOARDWALK EMPIRE stars Steve Buscemi as Nucky Thompson; Kelly Macdonald as Margaret, Nucky’s wife; Michael Shannon as federal agent Nelson Van Alden; Gretchen Mol as Gillian, Jimmy Darmody’s mother; Shea Whigham as Nucky’s estranged brother Elias; Michael Stuhlbarg as gangster Arnold Rothstein; Stephen Graham as gangster Al Capone;Vincent Piazza as gangster Lucky Luciano; Michael Kenneth Williams as Nucky’s ally Chalky White, leader of the city’s African-American community; Anthony Laciura as Eddie Kessler, Nucky’s valet; Paul Sparks as gangster Mickey Doyle; Jack Huston as Richard Harrow, a disfigured war veteran; Charlie Cox as Owen Sleater, Nucky’s right-hand man; Bobby Cannavale as Gyp Rosetti, Nucky’s new foe; Arron Shiver as gangster Dean O’Banion; Christopher McDonald as U.S. Attorney General Harry Daugherty; Stephen Root as Gaston Means, a go-between for Nucky and Daugherty; and MegChambers Steedle as Billie Kent, Nucky’s new mistress. 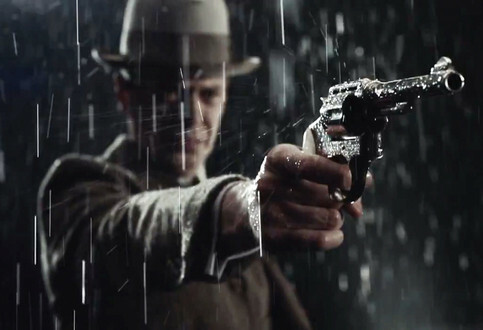 While hosting a New Year’s Eve party for 1922-23, Nucky makes a resolution that does not sit well with Gyp Rosetti, a touchy gangster with a thirst for bootleg whiskey. Margaret looks to build on the Thompson endowment at St. Theresa’s Hospital, to her husband’s displeasure. In the absence of Jimmy and the Commodore, Gillian builds a new business while monitoring Richard’s mentoring of her “son,” Tommy. In Chicago, Al Capone is rankled by Irish mobster Dean O’Banion, and Van Alden stumbles onto a confrontation that could change his career path. Mixing business with pleasure in New York, Nucky bristles at the collection tactics of Gaston Means, a “special investigator” with ties to Attorney General Harry Daugherty. At St. Theresa’s, Margaret is troubled when her altruism is met with resistance by both a patient and an idealistic doctor. Gyp extends his stopover in Tabor Heights, a town halfway between Atlantic City and New York, with an eye towards establishing a strategic foothold. Chalky and his daughter Maybelle (Christina Jackson) fail to agree on her future with Samuel (Ty Michael Robinson); Eli gets a new boss and faces new realities at home; a major liquor shipment takes an unexpected detour. Written by Howard Korder; directed by Alik Sakharov. Disturbed by a recent nightmare and Billie’s absence, Nucky reluctantly joins Margaret to receive a high honor from the Church. Meanwhile, Gyp makes a deal with Nucky for a onetime liquor shipment, though the mobster’s longtime intentions remain very much up in the air. Van Alden regrets trying to socialize with his co-workers; Margaret takes her women’s-clinic pitch to a higher authority; Lucky and Meyer (Anatol Yusef) protect their investments; Richard sets the record straight with Mickey, and with Nucky. Written by Chris Haddock; directed by Jeremy Podeswa. BOARDWALK EMPIRE recently received 12 nominations for the upcoming 64th Primetime Emmy Awards®, including Outstanding Drama Series, Outstanding Lead Actor in a Drama Series (Steve Buscemi) and Outstanding Directing for a Drama Series (Tim Van Patten). In Sept. 2011, BOARDWALK EMPIRE received eight Emmy® Awards, the most of any program that year, in the 63rd Annual Primetime Emmy® Awards competition, including Outstanding Directing for a Drama Series (Martin Scorsese). In Jan. 2011, BOARDWALK EMPIRE received two Golden Globe Awards, for Best Television Series – Drama and Best Performance by an Actor in a Television Series – Drama (Steve Buscemi). For two years in a row, the series has received Screen Actors Guild awards for both Outstanding Performance by an Ensemble in a Drama Series and Outstanding Performance by a Male Actor in a Drama Series (Steve Buscemi). This entry was posted on Thursday, August 23rd, 2012 at 10:39 am	and is filed under News, Television. You can follow any responses to this entry through the RSS 2.0 feed. You can skip to the end and leave a response. Pinging is currently not allowed. « Bryan’s Must Own Bluray/Dvd’s For The 3rd Week Of August 2012!! !